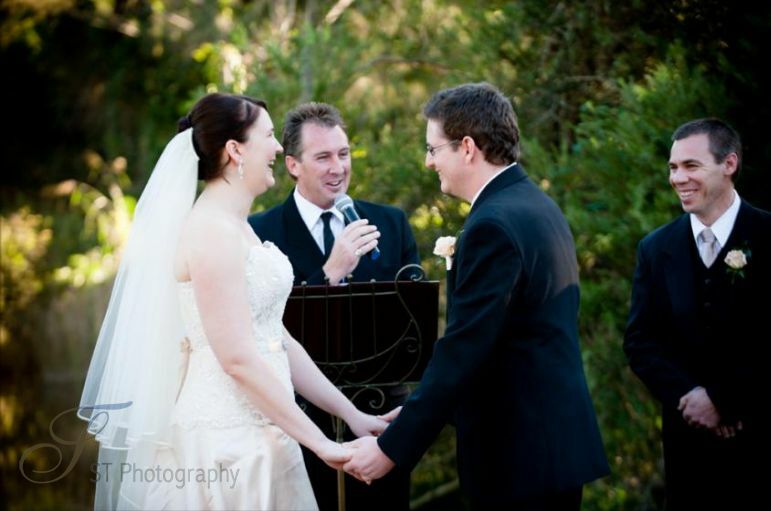 We could not have asked for a more professional and fun loving celebrant. I would recommend him full heartedly. Flexible and truly got into the spirit of our special night. Robert Simmons was our celebrant for our wedding. He was very professional but also kept it light and fun. He was flexible and willing to work with us to make our ceremony unique to us. I would 100% recommend him to anyone. Robert was absolutely amazing! So thoughtful, kind and wonderful to have as our celebrant! He made sure everything ran to plan, was fantastic in the lead up and also delivered a truly beautiful and personal ceremony! 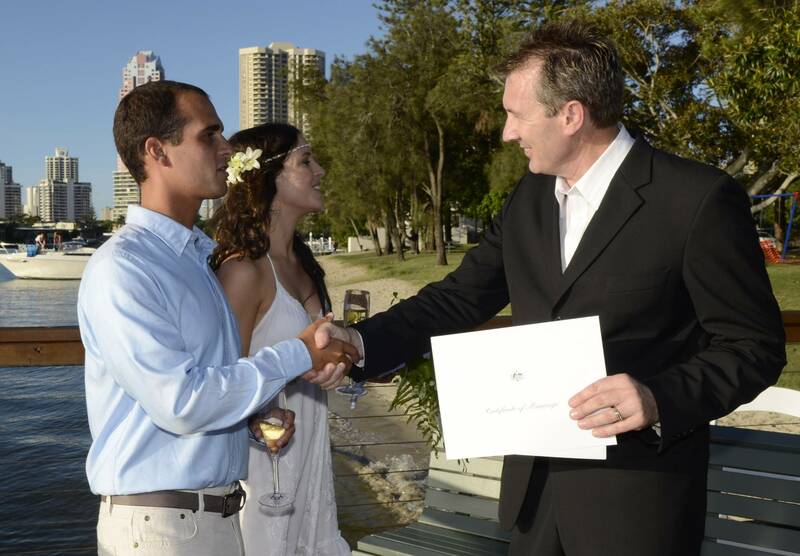 We would recommend Robert to anyone wanting an officiant for any event. 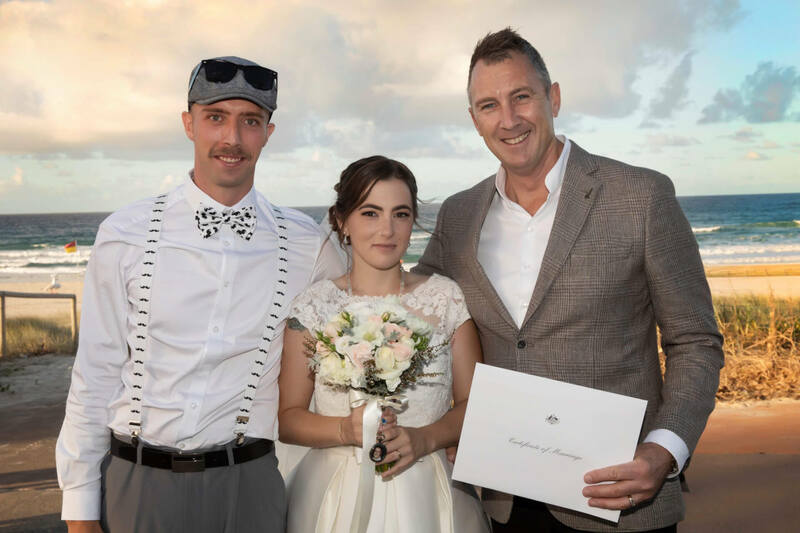 He was the celebrant at our wedding November 2018 and he put together a ceremony that suited us perfectly. He is kind and considerate with his wording and very effective at communicating. He holds the attention of the crowd and entertains with the perfect combination of wit and sincerity. Aagghhh almost 2am and am finally home in hot Darwin. I just wanted to take a moment to thank you. You are not just professional but also an exceptionally beautiful man. You made the day go so easy in what was a somewhat stressful time and I can’t ever thank you enough. The stars were surely aligned when I made that phone call to you. It could of been one of many but my eyes gravitated to your name and I couldn’t be happier they did. Thanks a whole bunch and may your future days be filled with love, happiness and rainbows. We just wanted to say thank you for making our day so special. The ceremony was simple, personal and so perfect! We’ve got a lot of complements from family and friends. Thanks for helping and guiding us. A big thank you from Nataliya and I for making our big day come true. You ensured the wedding ceremony progressed smoothly with your professional manner, you settled our nerves with your reassurance, experience and calmness. The composition of the service was absolutely perfect. Many guests commented to us what a lovely service it was and what a wonderful celebrant that you were. The remainder of the day went smoothly to round off a perfect day for all. I just wanted to say thank you so much for the ceremony on Saturday. You were amazing and guided us through so well. Everyone has commented on what a lovely celebrant you were. Thank you. You made the experience even more wonderful. Just a note of thanks for being our celebrant at our wedding on Saturday. The way you delivered the ceremony was engaging and intimate for us as well as our guests. Your easy-going and warm manner was appreciated by all, and it set the tone for the whole afternoon and evening. 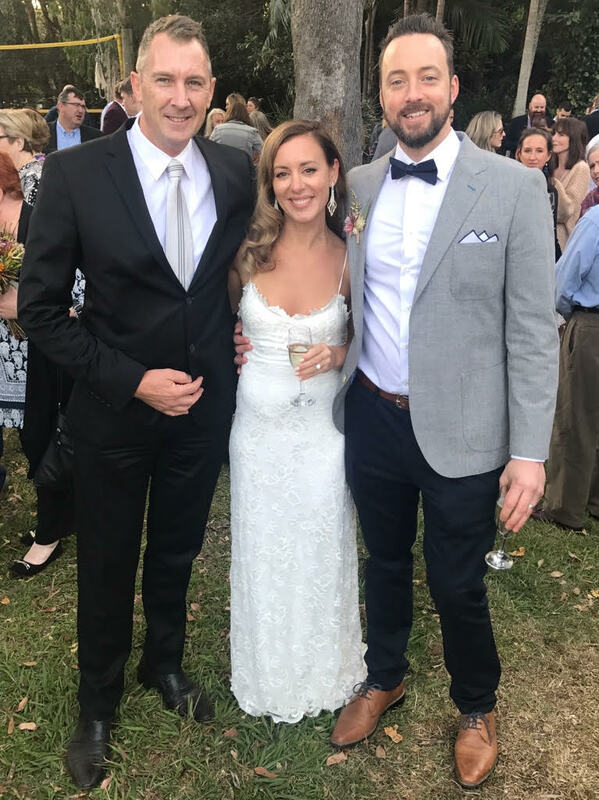 The thorough preparation process you guided us through made the ceremony flow effortlessly, and we were relaxed, comfortable and familiar with all that was taking place. 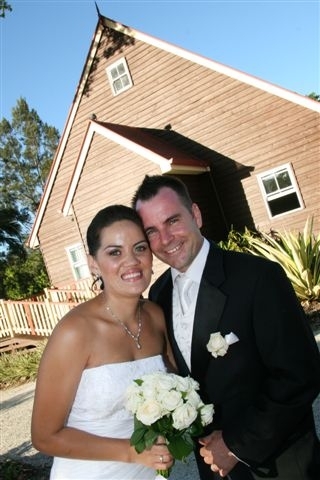 Consequently, our wedding ceremony was loving, enjoyable and certainly memorable for us and our families and friends. Just want to say a huge thank you for your services on Saturday. You were absolutely wonderful, and we couldn’t have been more stoked with how fantastic you were. And everyone commented on how great you were. We wish you the best of luck with everything, and will be recommending you to everyone we know. Thank you Robert for all of your support, guidance and professionalism in delivering an amazing ceremony for my wife and I on our big day. We honestly could not have asked for anything more. 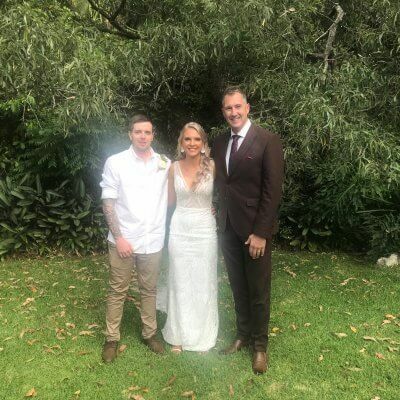 The way in which you engaged with our family and friends, keeping everyone entertained and informed about the process of the ceremony and delivering your beautifully worded readings in between dialogue was absolutely impeccable and outstanding. Thank you for supplying your own PA system, arriving early to have everything set up and making everything so enjoyable and smooth on our day. We couldn’t have done it without you! 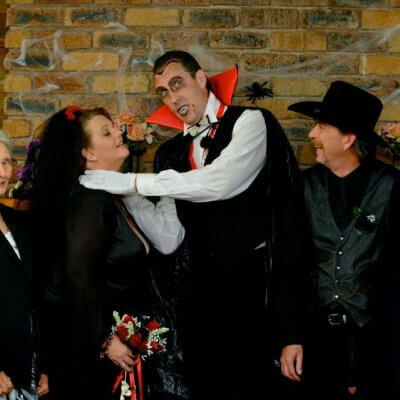 We highly recommend Robert’s services for your wedding! Hope your well, and thank you again for making our wedding so special, we had lots of comments on how good you were and everyone was super happy! Thank you for being such a gracious Celebrant, you were such a wonderful choice we were glad to have made. 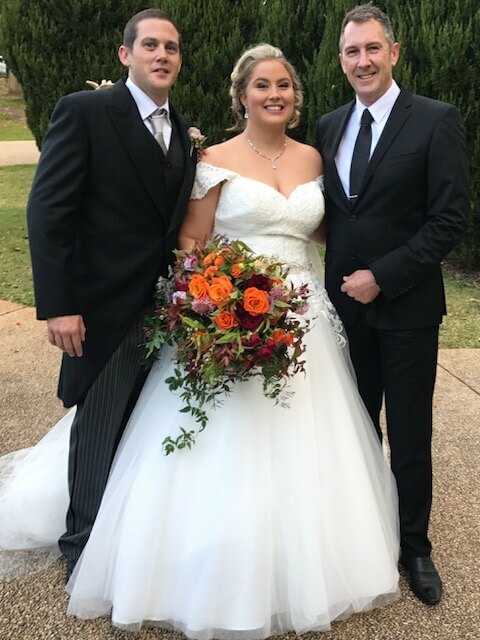 We were SO happy with your service as our wedding celebrant, your faultless organisation, your thoroughness and knowledge of how ceremonies work – we knew from the beginning that we had chosen the right guy. Thank you for mentioning or families and friends and for meaning every single word you said. 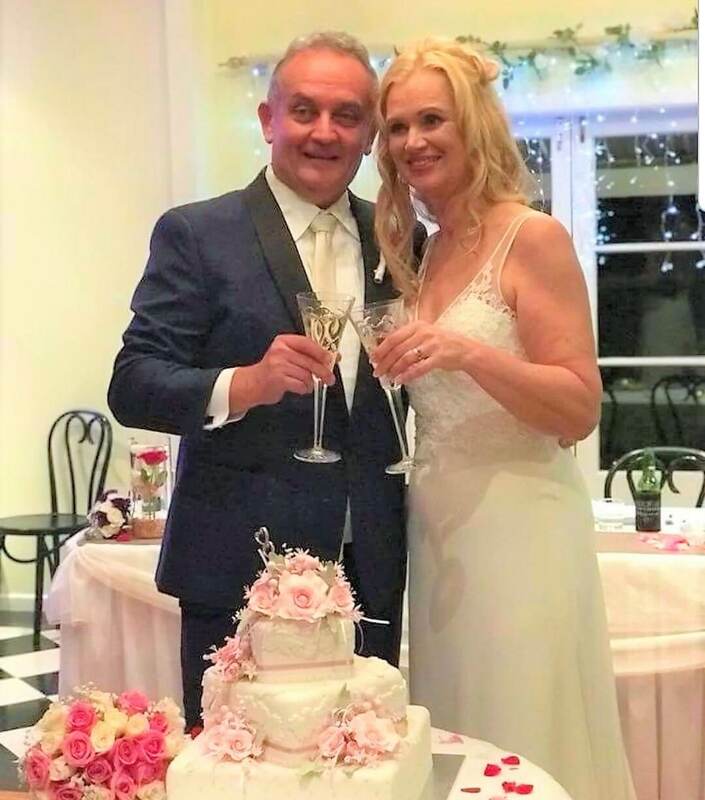 All our guests loved you as well and loved the fact that you turned a legal process into a lovely ceremony that we will remember for the rest of our lives. Thanks for making our wedding ceremony all that we were hoping for, your easy yet charming manner, professionalism and not too mention you look good too!! It was an amazing day, thanks again and we would recommend you highly to anyone. Now that we are settling back into Canberra and we can catch our breath, it gives us a chance to again say thank you for your service to us. We knew we had the right person for the job when you called so soon after our initial enquiry. Your website is great and that was reflected by your warm voice over the phone. The great thing for us, organising a ceremony from 6000 kilometres away, was that unlike many sites you can look at on the internet, yours reflected very accurately the service we received. Additionally, websites can never truly emulate the level of service you will get nor the warm personalities of the hosts, again you exceeded our expectations. 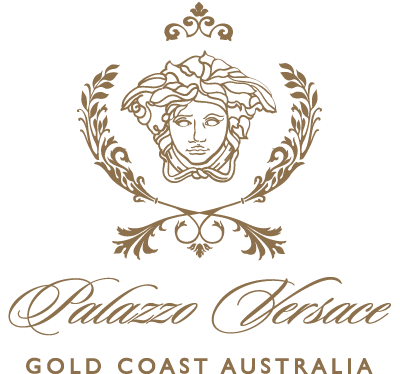 We were looking to achieve a casual and relaxed atmosphere and you were just great in your arrangements. Everything was first class and exactly as how we imagined it. You made the whole thing about us which is what we wanted. Thank you again for a wonderful service and your very warm and expert assistance. We want to thank you so much for making our special day so special and personal! You really took the time to get to know us and adjusted everything to suit our needs! All our family and friends commented on how lovely our ceremony was and it was all thanks to you! You took care of everything for us and it was a fantastic day. 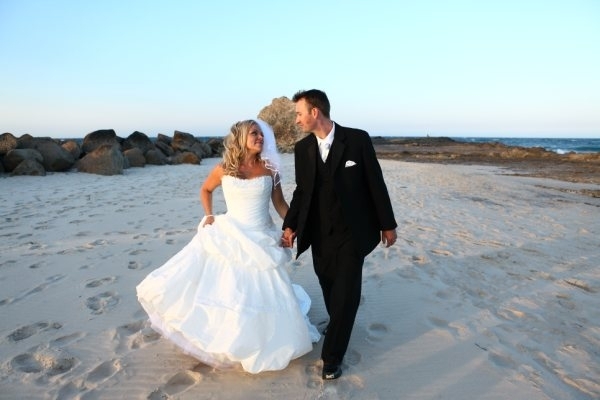 We have since recommended you to many people we have come across who are looking for a celebrant. David and I have now have a little baby boy Dylan, who was born in October and we are wanting to have a naming day for him and would be so honored if you could perform it. Thank-you so much for marrying us.I’m sorry we were a bit caught up after the actual ceremony to say a proper good bye to you. All a bit rushed! But thank-you for doing such a great job, especially with the weather playing its part in trying to make the day a bit more eventful! we were so happy with how you handled it all and so many people commented on how well you smoothed over the cyclonic interruptions! I meant what I said I could have written pages, “your service is and was exceptional” We wish you luck and well being in the future and encourage and hope that your career pursual takes off, you’re a natural. When we began the search for someone to marry us, we were quite daunted by the idea of “choosing” a person! However from the moment we met Robert, we knew he was the right person to marry us. Robert is confident, calm and has the most beautiful speaking voice. 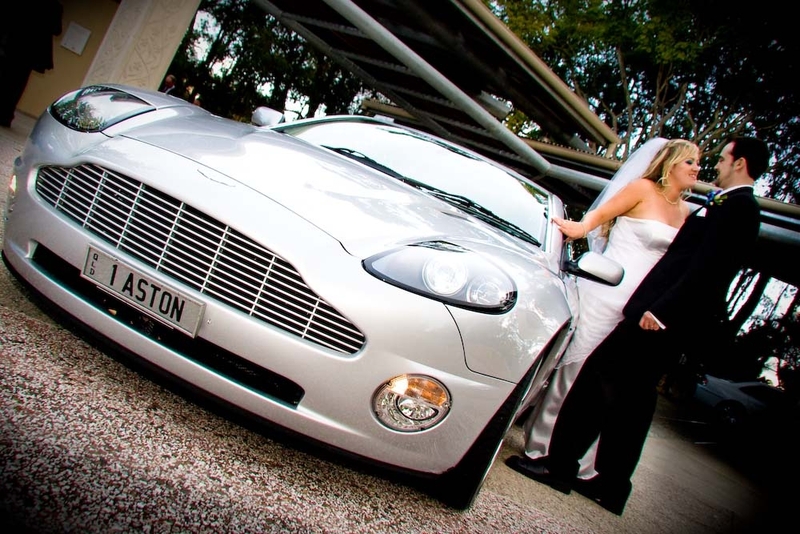 (Just another all important detail when planning the perfect day!) Thank you so very much for delivering a beautiful ceremony with just the right mix of humorous and serious moments. It was the perfect day and we are thrilled we “chose” you. We would just like to say thankyou for helping us put together with all our children such a beautiful ceremony. We where two families coming together as one and you involved all of our beautiful girls in the ceremony and it made them feel special also. 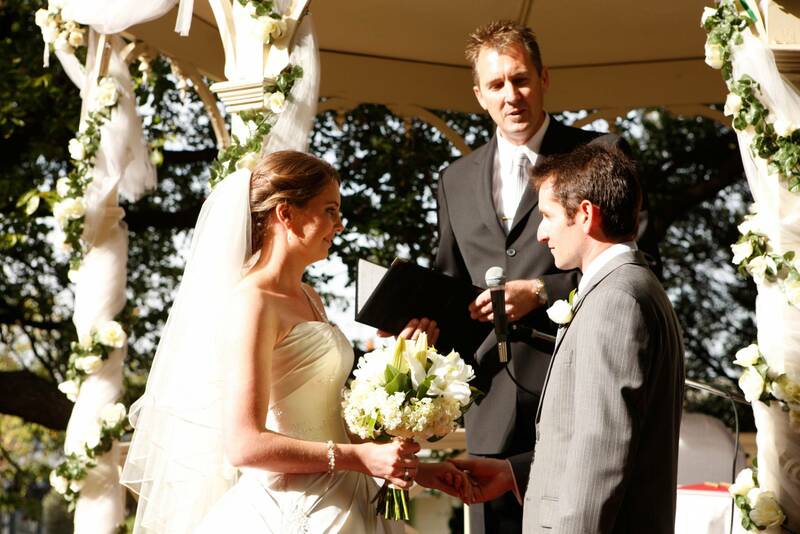 We commend on your professional yet personal touch to our ceremony from beginning to end. It had joy, laughter and tears which made us truely feel special. Thankyou again for joining us as husband and wife. What a beautiful day!!! We just wanted to write to let you know that we would like to sincerely Thank You for all your help and support leading up to and on our Wedding Day. We certainly couldn’t not have done it all without your experience and knowledge to get us through it. 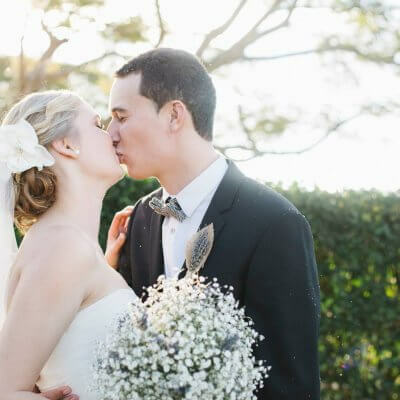 All of our guest comments of how friendly, approachable and professional you were, and the vows that you helped us prepare certainly brought a tear to more than one eye. Thanks again you helped make our day absolutely perfect. 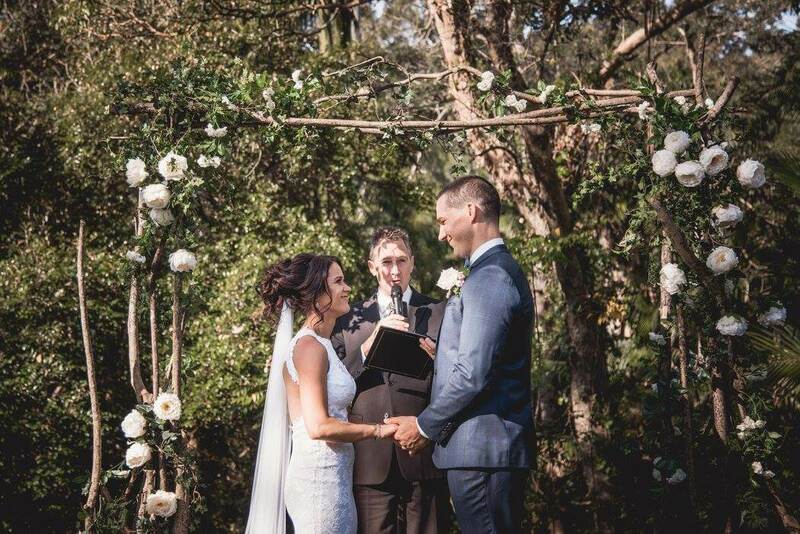 A special thank you for your fantastic involvement on our Wedding Day at Coolibah Downs. It was a truly memorable day with many wonderful comments about the ceremony.A few people mentioned that it was a very “heartfelt”ceremony with some beautiful wording for our vow exchange. Once again thank you so much for providing us with some beautiful memories of our Wedding Day. Despite the fact there were no less than 9 children under five as part of the ceremony playing ‘chicken’ with the candelabra, the weather was hurricane force, the limo was bogged so the bridal party caught a lift in the resort mini bus to the ceremony – to name but a few of the calamities of the day – you were a calm and ever-smiling influence and persevered with us. There were many light hearted moments in that chapel and you joined with us in enjoying them whole heartedly, whilst still preserving the solemn nature of the occasion. Thank you so much Robert. 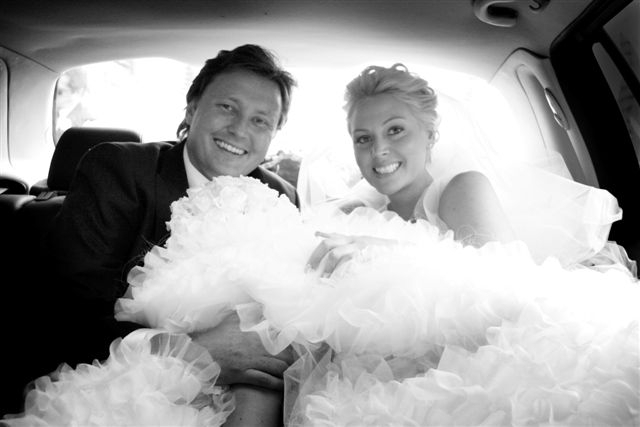 As well as being very organised and professional before and during the big day, you also allowed your personality and sense of humour to shine through for us. Last but not least, you also looked very smart and dare I say handsome for the ceremony, which is so appreciated when so much effort goes into the bridal party attire and venues. 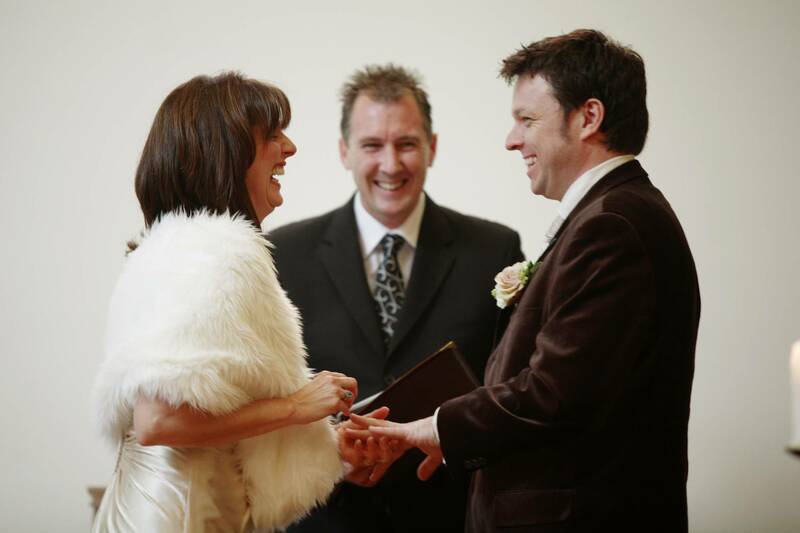 We would have no hesitation recommending your services for anyone requiring a celebrant for any occasion. Just want to say a HUGE thank you for being a special part of our day, You did an amazing job and we are so happy with how our day turned out – it was perfect. We’ll stay in touch, say hi to your family for us. We would like to take this opportunity to sincerely thank you for the wonderful job you did as our marriage celebrant. We couldn’t have asked for a more professional, down to earth, caring person. 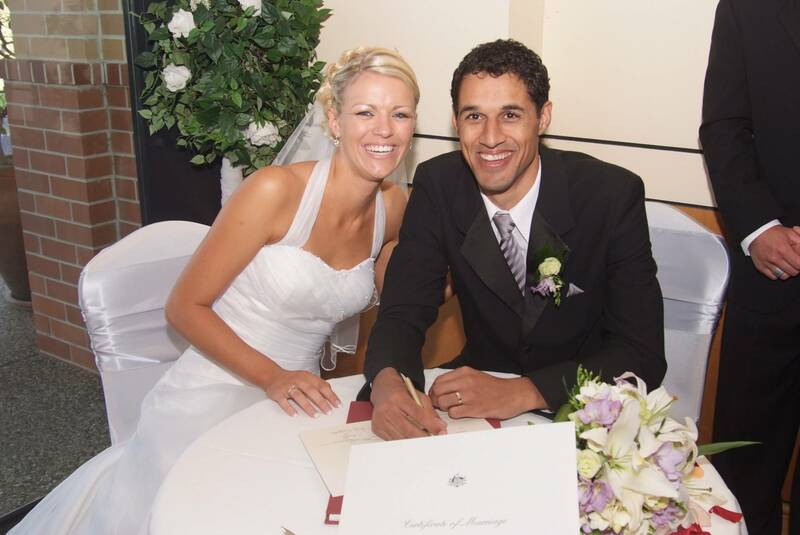 From setting the date right through to having the marriage certificate arrive at our door with no hassle or fuss. You made our day so very easy and enjoyable. You are definitely highly recommended. 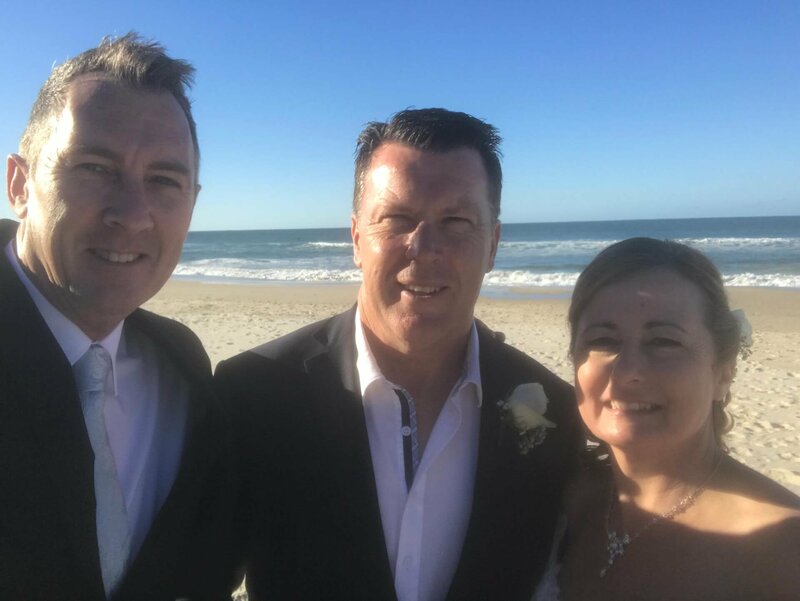 Thankyou, thankyou, to the most organised man Narelle and I have ever met, we feel blessed to have shared our special day with you. Your professional and caring manner helped us express our feelings and emotions in a beautiful and loving way. 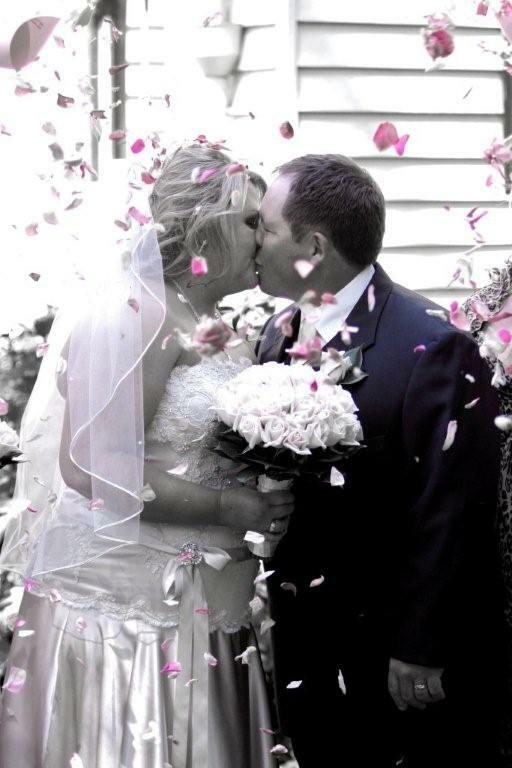 We would like to thank you again for making our Wedding Day a beautiful day that we will never forget. 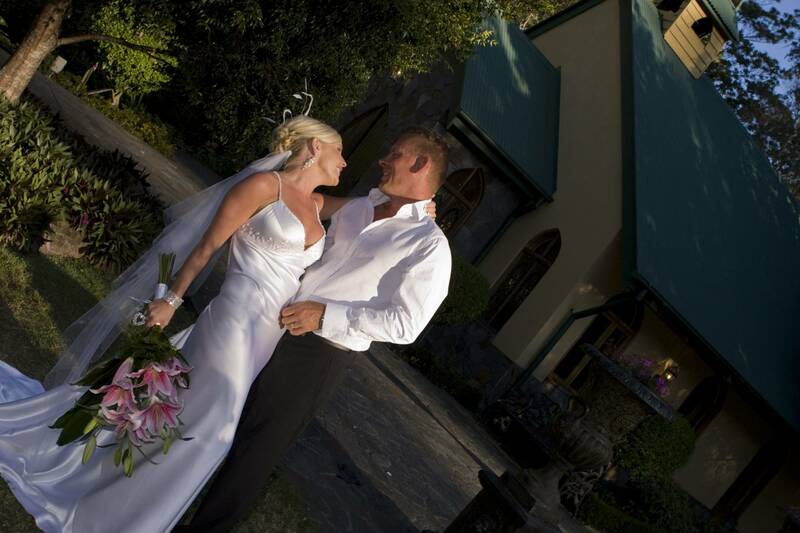 All our guests commented on how professional you were, and we are extremely happy that we chose you to marry us. Thank you so much for making our special day so unforgettable. Choosing the right celebrant can be a nerve process. We definitely hit the jackpot with you! You helped make our day one we will never forget. All of our guests commented on what a wonderful service you created. From the moment we contacted you your organisational skills, professionalism, and friendliness defiantly helped make both Katie and I relax and enjoy the day. 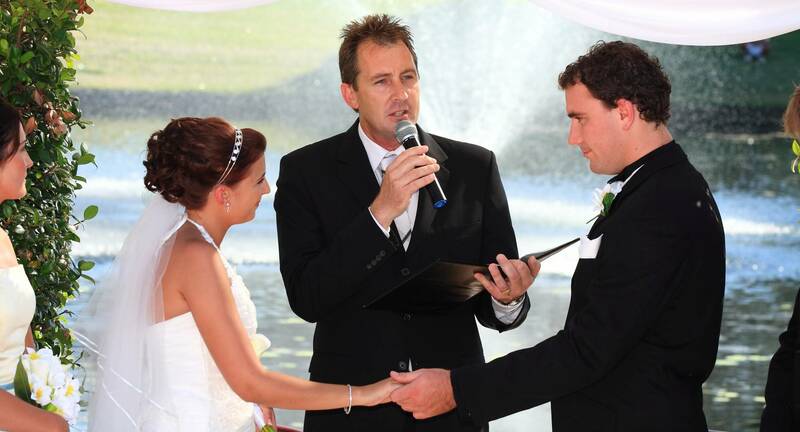 We will highly recommend you to anyone looking for a celebrant. 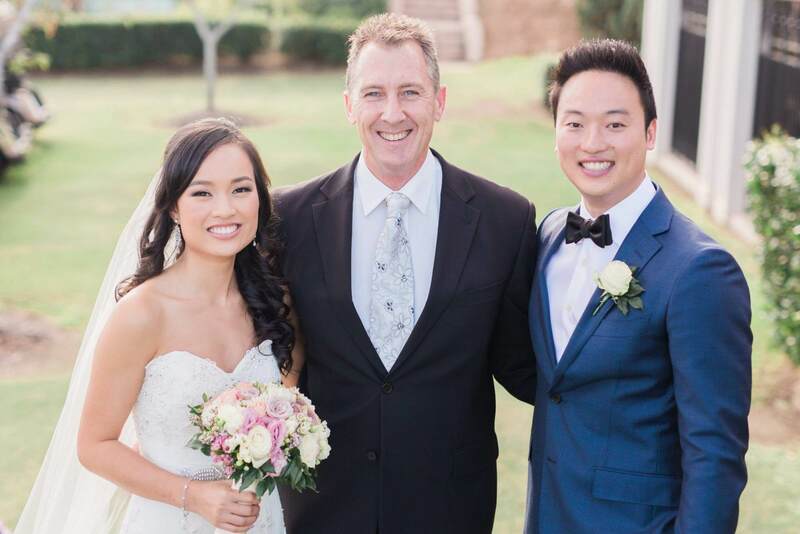 Thankyou so much for making Brendan and Melinda’s Wedding so memorable, and it was made so special because of you. Your service was so professional, yet had so many unique and personal touches that we all appreciate. Many people have given me glowing reports on your service.They all mentioned how clear and articulate you were, and how well you dressed. Again many thanks for a great day at Ascott House in Melbourne. Just wanted to write a quick note to let you know how happy we were with your awesome performance as our celebrant on our wedding day. You made sure it was exactly what we wanted & really expressed that it was OUR day. You made us feel very calm & relaxed, not too much stress, which believe me we both needed! Alot of our guests commented on how well you performed the ceremony & how friendly & easy going you were, so you obviously made them feel relaxed & comfortable too. We just wanted to say thanks again & say how much we appreciate you having a huge part in making one of our biggest days of our lives exactly what we wanted. We would both reccomend your service to others in a heartbeat! 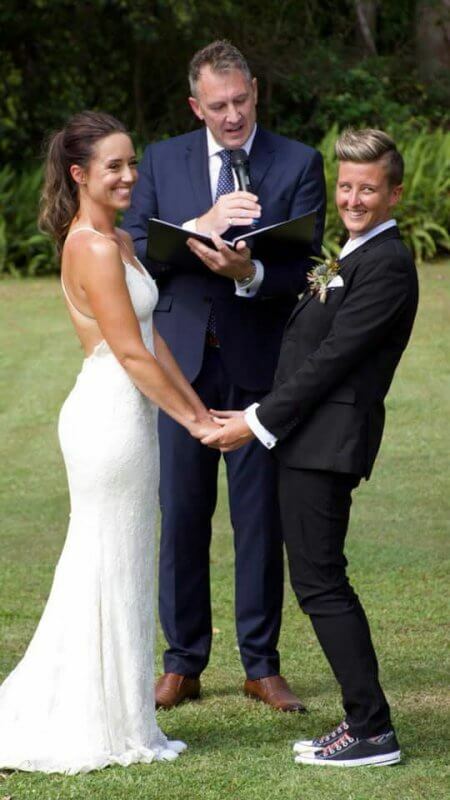 We would love to sincerely thank you for agreeing to be our marriage celebrant. From the first moment we met you, we felt like we had known you for years. Thank you for all your help and expert advice leading up to the wedding. We have had so many compliments from our friends and family on how professional you were on the day. We are already recommending you to our friends! 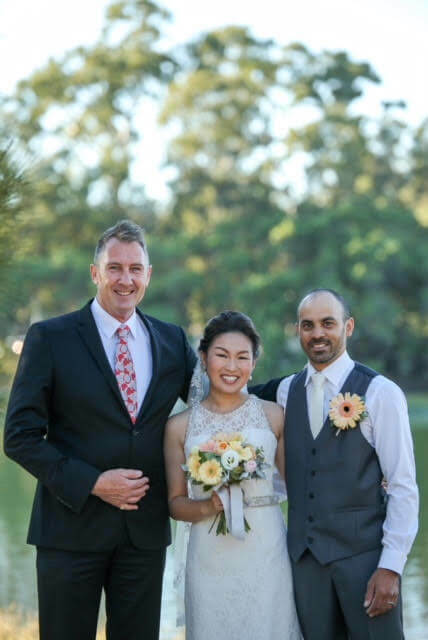 Having chosen Robert to be our celebrant for our wedding day, was the most perfect decision we could have made. From the first meeting til the end of the ceremony, he was there thru every step for us, helping us to create the most beautiful and memorable ceremony ever. I just can’t rave enough about Robert, he’s just devine! It was great to have him be a part of the most special day of our lives. Again, thank you so much for all you did for us.